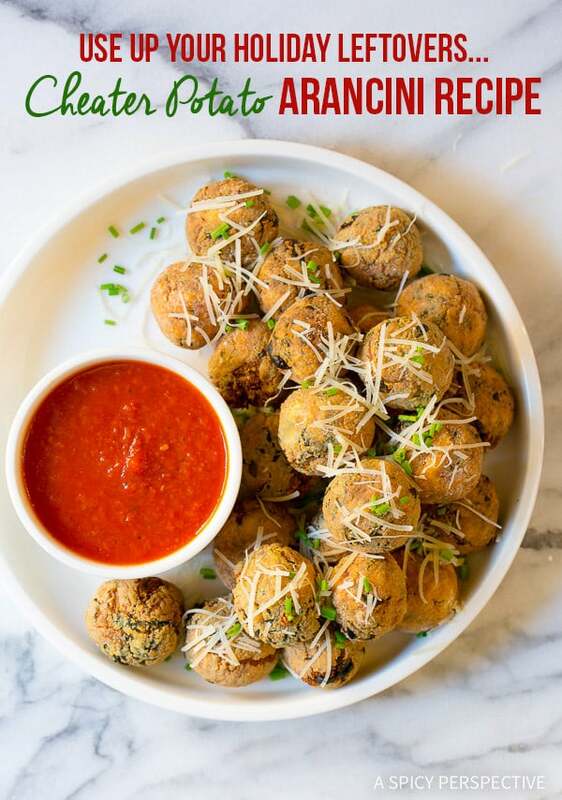 Sharing a fabulous leftover reviver today… A Cheater Potato Arancini Recipe to turn cold leftovers into hot crispy euphoria! In just a couple weeks you are going to have a fridge jam-packed with holiday leftovers. You could A) Warm and eat them as-is. B) Snub them, so they sit in the fridge so long that they end up in the garbage. C) Turn your leftovers into edible gold! 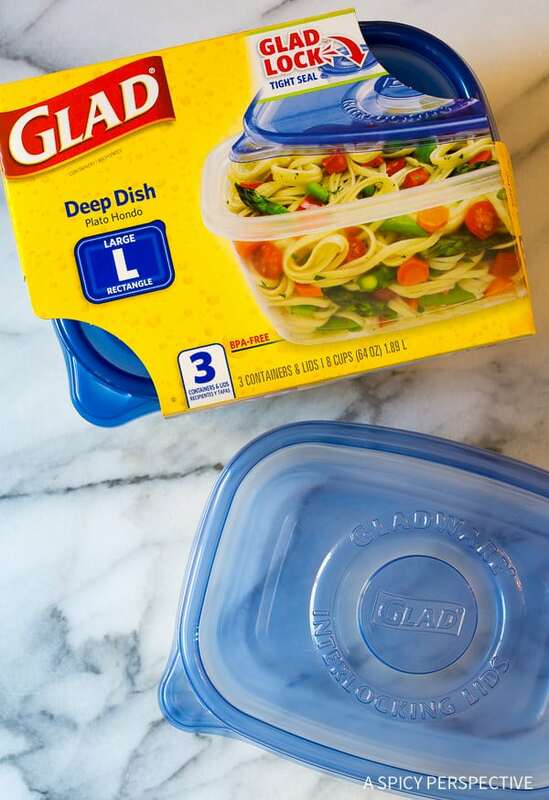 Although I’m a big fan of option A, and always stock up on Glad Food Storage Containers for the holidays to keep my leftovers fresh, today we’re courageously going with option C.
Like buying a fixer-upper home, sometime leftovers are hard to see in a different light. You might need a spark of inspiration to help along the way. Today I hope to inspire you to, not only eat your holiday leftovers, but to turn them into a snack that will make everyone take notice. 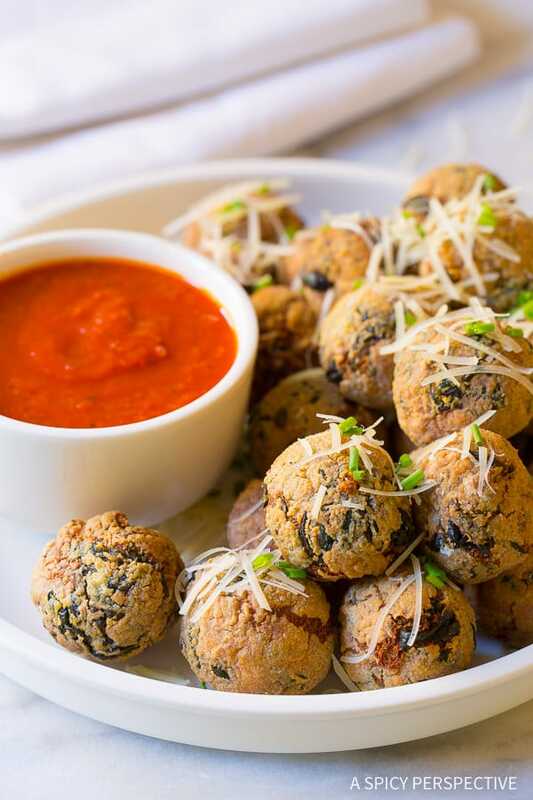 We’re cooking my Cheater Potato Arancini Recipe, hot crispy balls filled with soft and zesty potato and spinach filling. Arancini is an Italian dish that is traditionally made with leftover risotto. 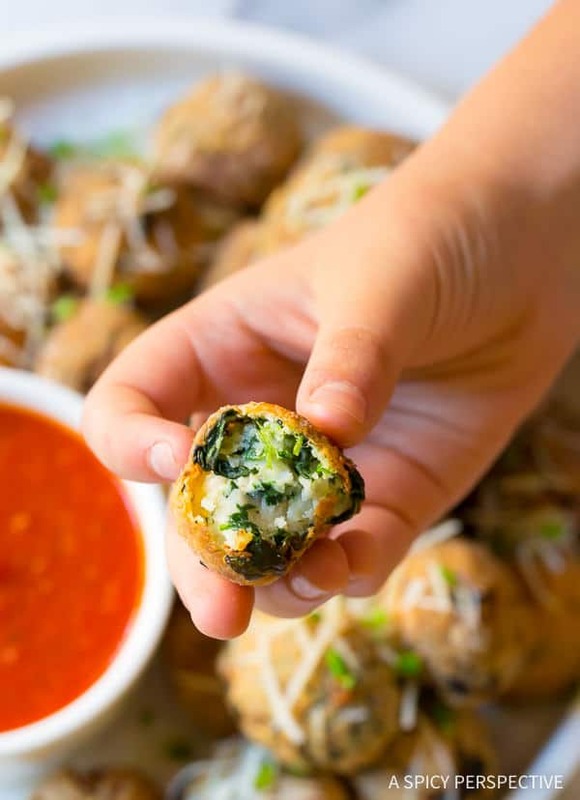 You roll the cold firm risotto into balls, then deep fry them, so they are crispy on the outside, yet soft and warm on the inside. 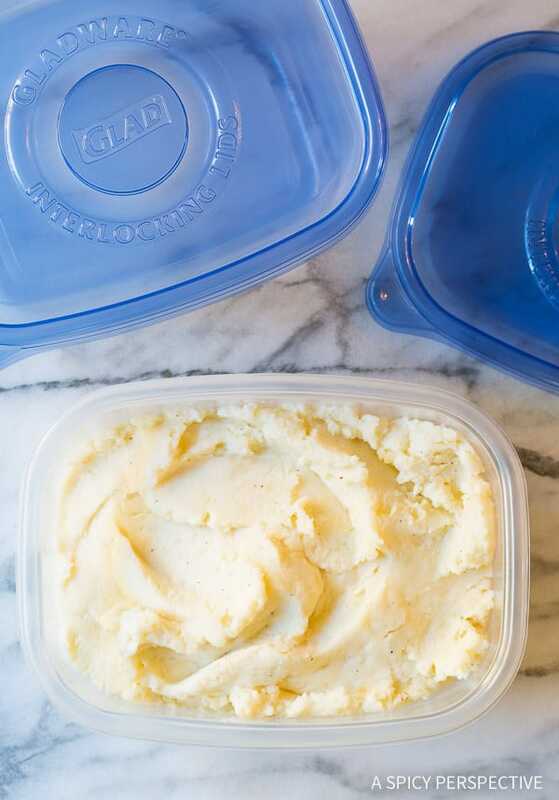 We’re cheating a little, by doing the exact same thing using mashed potatoes. 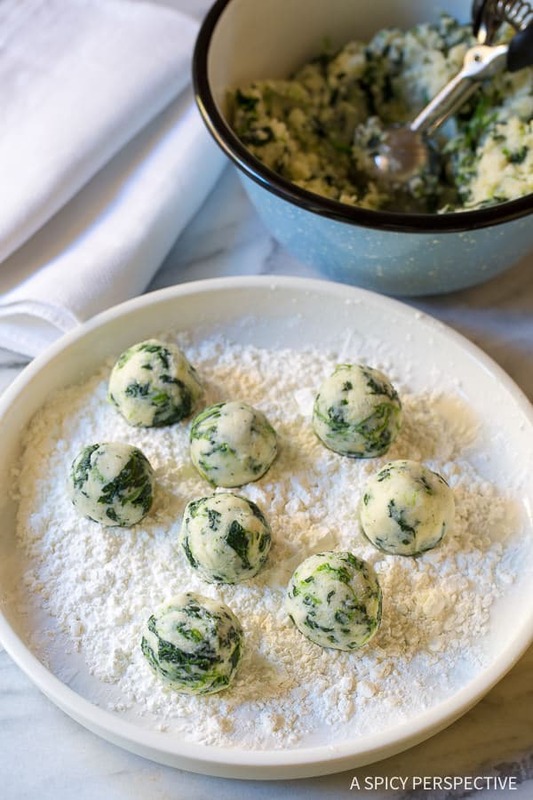 To make this Cheater Potato Arancini Recipe, I mixed leftover holiday mashed potatoes with chopped spinach and a packet of Hidden Valley Dips Mix, to ramp up the flavor. 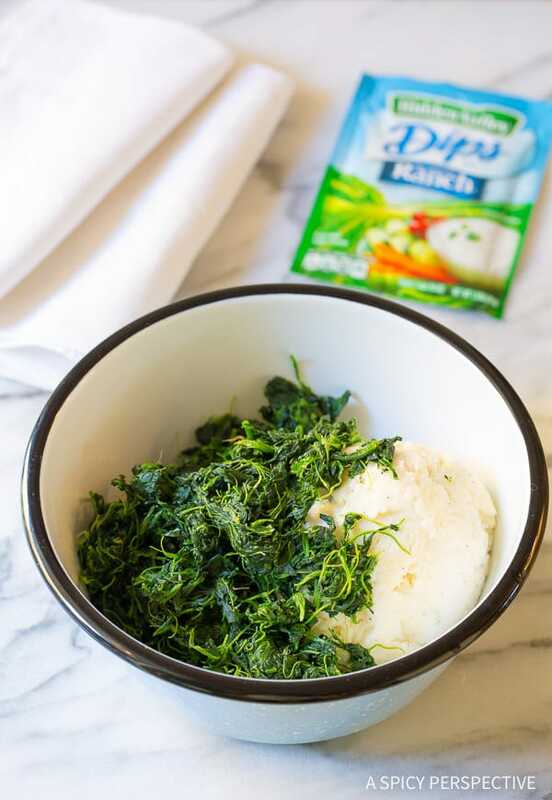 The tangy herb seasoning in the Hidden Valley Ranch Dips Mix brings out the best in both the mashed potatoes and spinach. Then I rolled the potato mixture into balls and coated the balls with cornstarch. The cornstarch provides the crispy coating on the outside once fried. 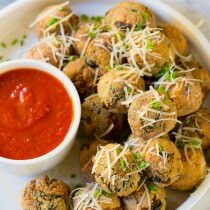 Deep fry the potato balls for 5-8 minutes until golden-brown, then serve with warm marinara for dipping. This Cheater Potato Arancini Recipe will bring your cold mashed potatoes back to life. In fact, you may start making mashed potatoes more often, just so you have leftovers for Potato Arancini! P.S. You can find Glad Food Storage Containers, Hidden Valley Dips Mix, Original Ranch, and all sorts of holiday necessities at Walmart! Cheater Potato Arancini Recipe. A play off classic risotto arancini, this potato version is a great way to use up leftover mashed potatoes and other holiday. 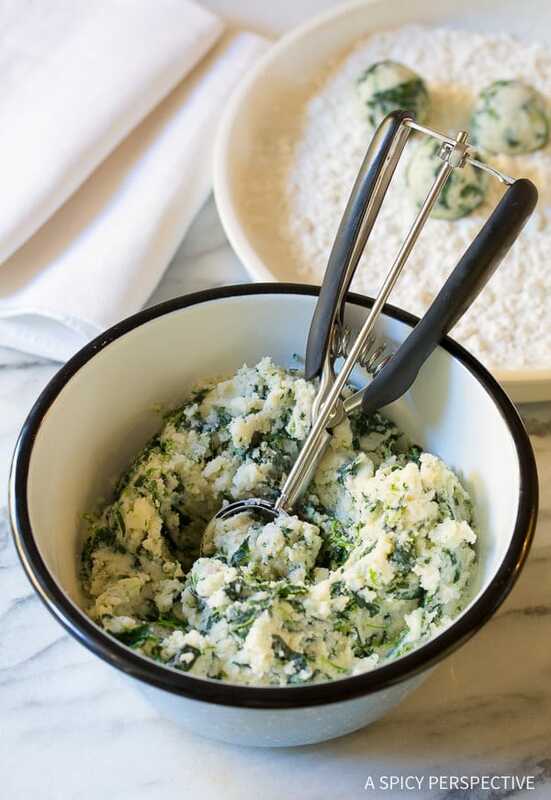 Place the spinach in a sieve and press out as much moisture as possible. Then move it to a large paper towel and squeeze out the remaining moisture. Measure the mashed potatoes into a bowl. 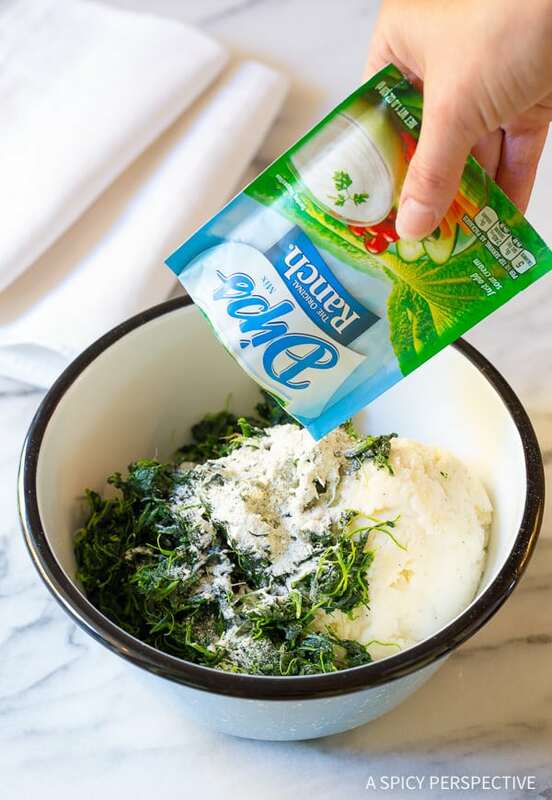 Then add the dried spinach and the packet of Hidden Valley Dips Mix. Mix by hand to combine. Pour the oil into a large stock pot and set over medium-high heat. Use a 1 1/2 tablespoon scoop to measure the potato mixture. Then roll each scoop into a ball. Place the cornstarch in a rimmed dish, and roll the potato balls in the cornstarch to thoroughly coat. Start frying once the oil reaches 350 degrees F. Carefully lower 10-12 balls into the hot oil and fry for 5-8 minutes, until golden brown. Remove the potato arancini with a skimmer and place on a paper towel lined plate. Repeat with remaining potato balls. 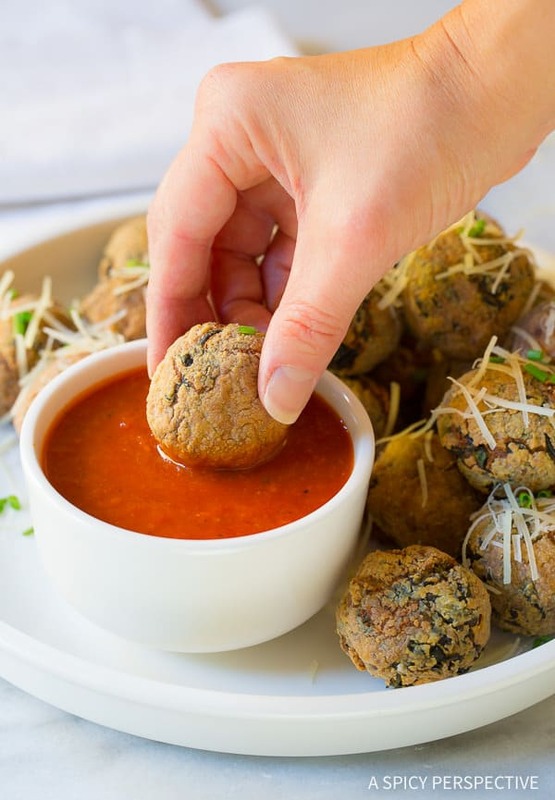 Serve the potato arancini hot with warm marinara for dipping. NOTES: Arancini is traditionally made with leftover risotto. 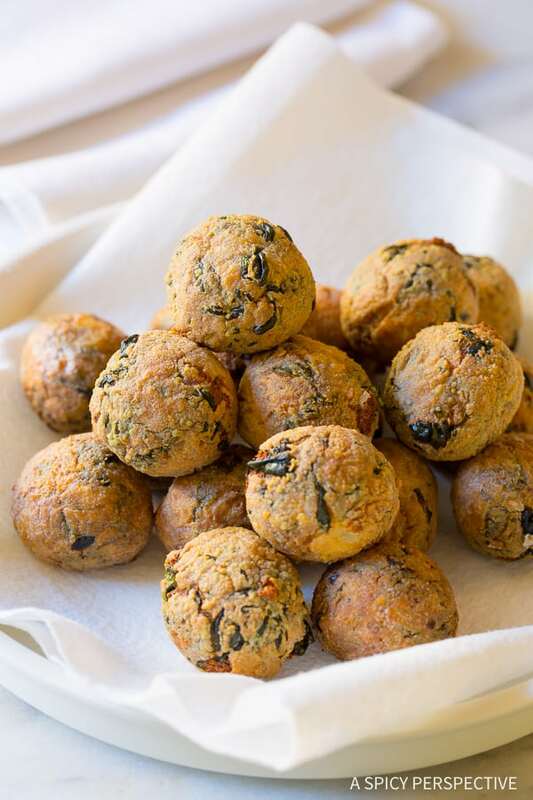 You can use other leftover items to make cheater arancini such as stuffing, sticky rice, or firm mashed sweet potatoes.